I spy with my little eye…. 888 Pandas!? Yep, you read that right. Calling all panda lovers! 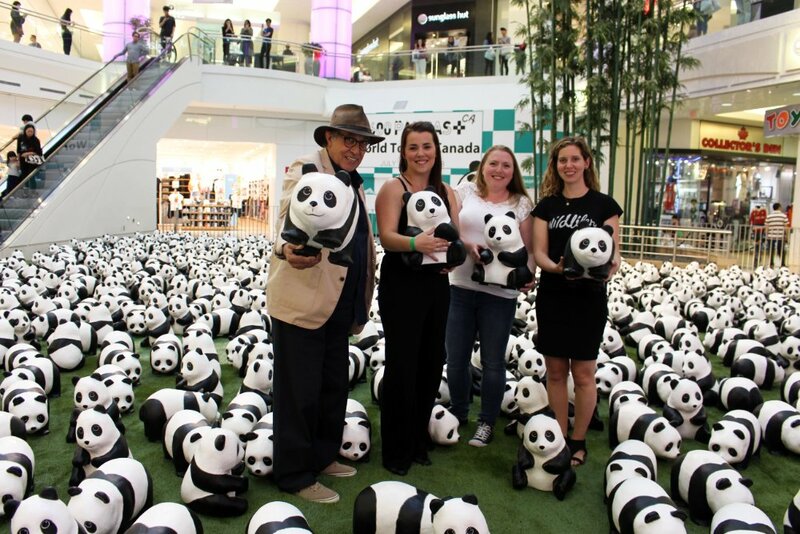 It’s PANDA-monium at Metropolis at Metrotown, consulting curator AllRightsReserved Ltd., and World Wildlife Fund (WWF) Canada proudly present the exhibit 1600 Pandas+ World Tour in Canada to raise awareness of wildlife conservation, pandas and sustainability. This is an exhibit you won’t want to miss out on. 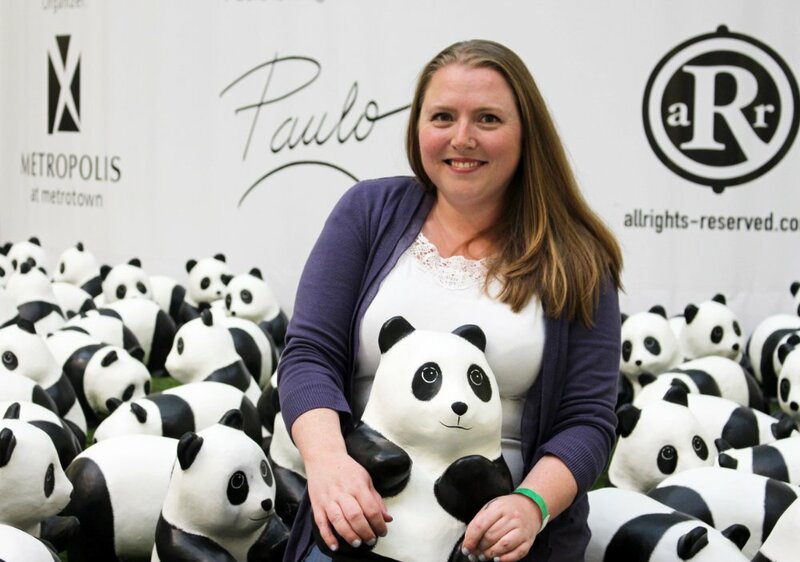 After being showcased around the world in over 100 exhibits Metro Vancouver families can experience this one of a kind display, the world-class art installation of 888 papier-mâché pandas by French artist Paulo Grangeon from now until August 8th, 2018. I get invited to some pretty cool events but this has to be up there on the list of unique displays that left us talking about it long after we left! How can you not love hanging out with 888 adorable pandas? There’s a bit more behind this display than just the adorableness though. Did you know that in 2008 there was only 1600 giant pandas left in the wild? 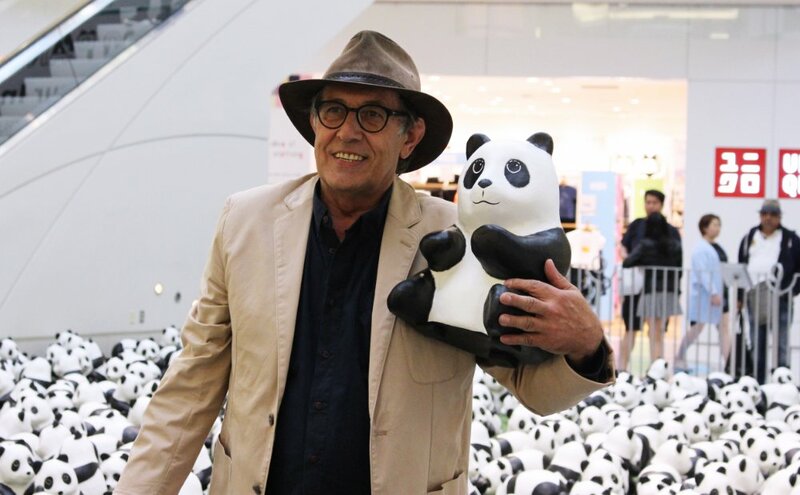 In partnership with WWF, Paulo Grangeon has hand crafted over 10,000 papier-mâché pandas out of recycled materials to help bring awareness to the staggering decrease in our wildlife – globally. 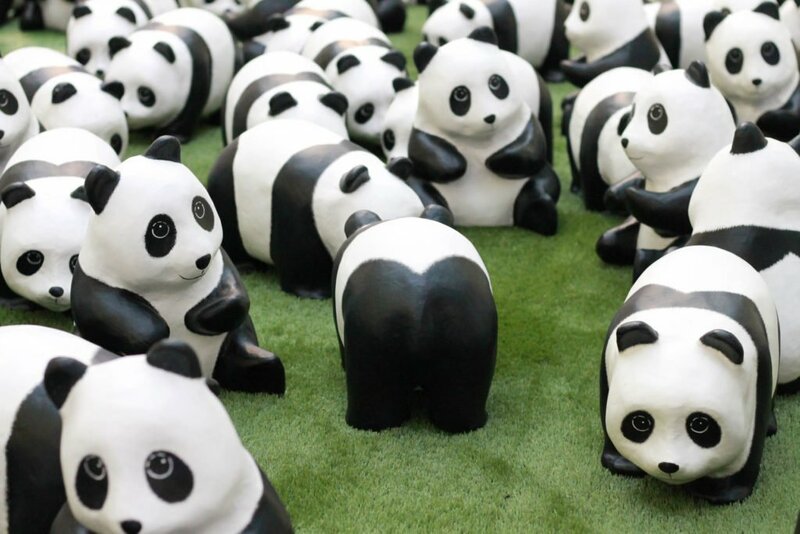 The original name of the exhibit has since changed to 1600 Pandas+ referring to the 17% increase in the population of wild giant pandas to over 1,800 in the past decade, but also to increased public awareness of panda conservation, as an always symbolic reminder of wildlife. Globally our wildlife numbers are decreasing, and this isn’t just on the other side of the world either. 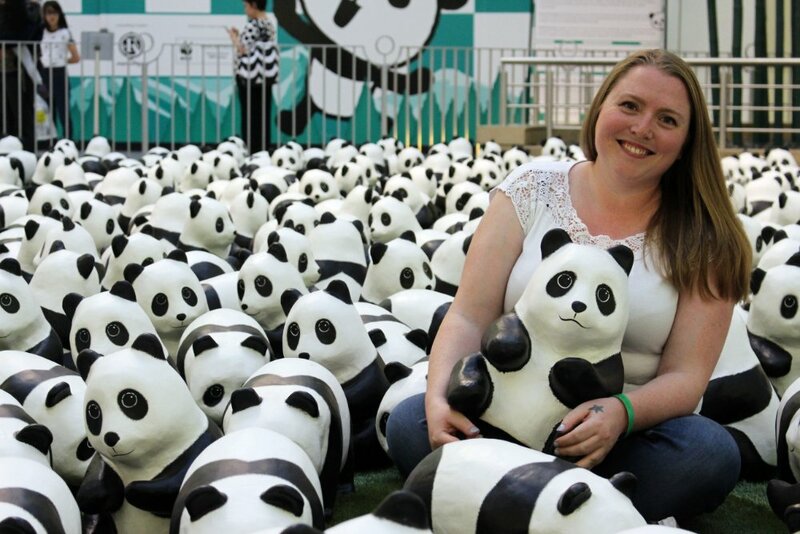 This is happening in our very own backyards and art displays like 1600 Pandas+ aims to bring more eyes to the global conversation efforts that are being done by the World Wildlife Fund. 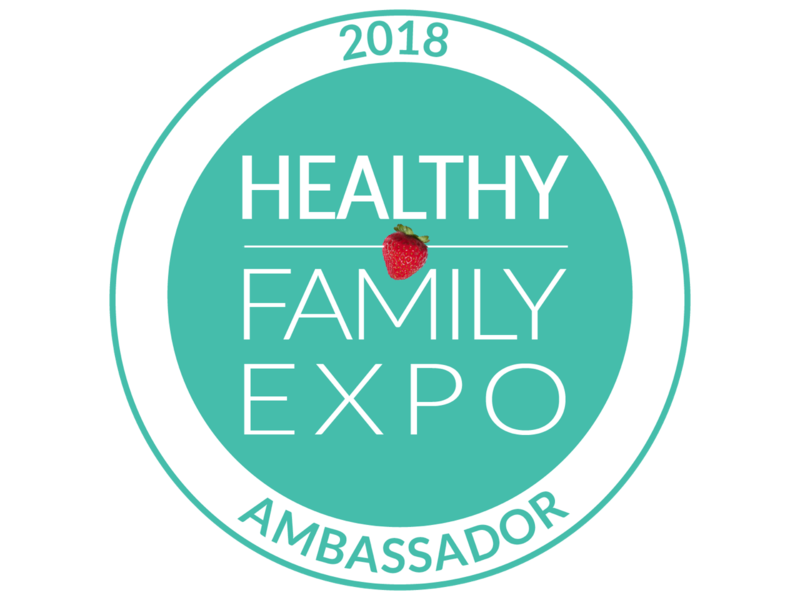 The exhibition will feature various activities including a selfie station, contests including a chance to win a trip for four to see the pandas at the Calgary Zoo, and panda adoption! Yep, you read that right. While supplies last, visitors can actually take home one of these pieces of art! If you’d like to adopt one pop into grande court at Metropolis at Metrotown and pre-register at the exhibit by donating to WWF Canada. Minimum donation is $50, but feel free to donate more if you want to support the cause even more! These adorable little friends have traveled through France, the Netherlands, Italy, Hong Kong, Taiwan, South Korea, and nearly 100 exhibitions around the world, the pandas have now arrived in North America for its very first time for the 1600 Pandas+ World Tour. Pandas will be available for pick-up after the exhibit ends between August 8-10. Just like a true adoption, you won’t get to choose your panda but I can attest to the fact they are all equally adorable in person and need a good home. Make sure to visit the grand court at Metropolis at Metrotown to see the pandas on display while you can, snap a photo and share your experience on social media using the hashtag #1600Pandas+CA for your chance to win a weekly panda prize pack which includes some fun panda swag and a $50 Metropolis gift card. The lovely Janette from Ava To Zoe and I had a chance to experience the exhibit up close and to meet Paulo himself. He’s just as passionate about the environment as you’d expect after having hand crafted 10,000 pandas! He was lovely to chat with and had such a great sense of humor about all of this time spent with them. He’d even toss them up into the air for fun photo ops. The pandas are surprisingly strong for being made out of only paper! 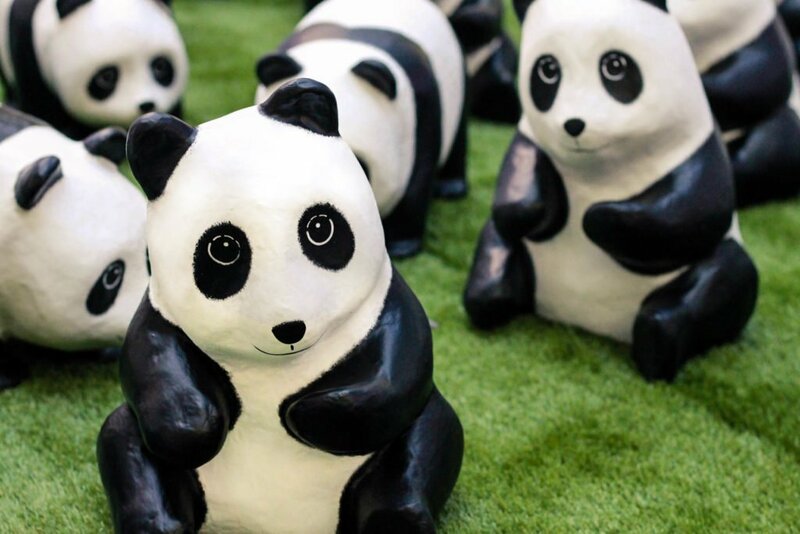 I’ve seen a few people ask what the pandas are made out of, some even speculating plastic – I can assure you that these little creatures are NOT plastic! They are made with recycled paper and are eco-friendly. During our visit, I adopted one with zero regrets. 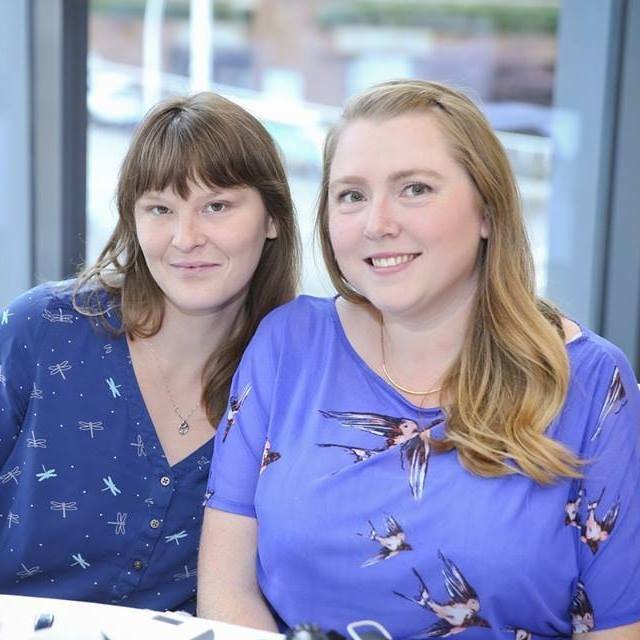 We regularly donate to wildlife funds and conservation efforts so this was an easy decision for us. It’s a total bonus that I get to keep a piece of unique art as a reminder and a conversation starter in my home about wildlife conservation. Lucky for me, my birthday happens to fall on one of the pick-up days so Happy Birthday to me, I’m getting a panda and getting to share a message I’m passionate about all in one! If you plan to adopt a panda to support WWF, we suggest you go sooner rather than later. 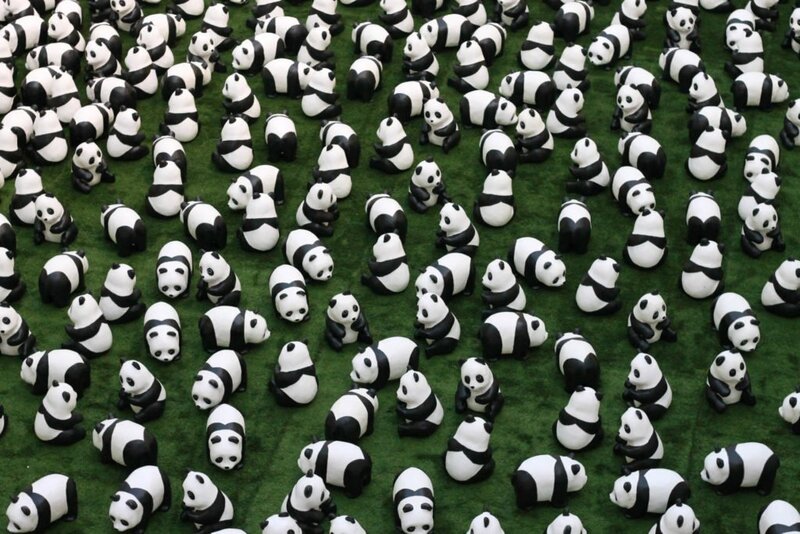 Since opening the exhibit, over 688 pandas have been adopted and there is only approximately 200 left! Even if you don’t plan to adopt one, please consider giving a donation to benefit WWF. Each dollar raised directly benefits their conservation efforts and education. The 17% increase in wild pandas prove that these efforts work, and together we can all work towards raising wildlife numbers worldwide. We hope you’ll pop in to visit the pandas yourself! I want to see these! Omg my kids would love this! I was in Vancouver for my very first time at the end of July and ended up at the mall. I stayed staring at the pandas for quite awhile! So amazing to see people come together! Saw this exhibit in person and it was so cute!! would love to see Pandas in real life. Looks as if you had a great time there. I would love to see those beautiful Panda. Sounds like fun! This would have been a wonderful event to join.